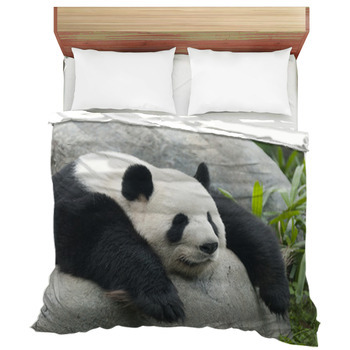 Adorable pandas have been bringing cheers to many children around the world for generations. 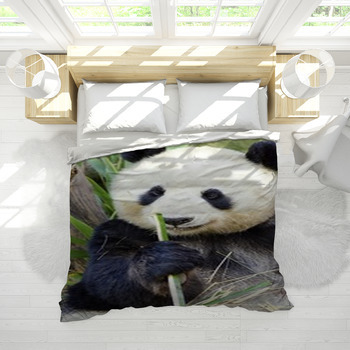 If you or your children have an affinity for pandas, then you will love the Panda themed bedding as we offer over 100 different panda designs for your bedding desire. 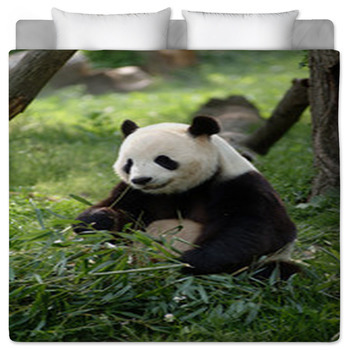 This cute Panda Bedding brightens any bedroom, making it a perfect place to relax and enjoy the comforts of home. 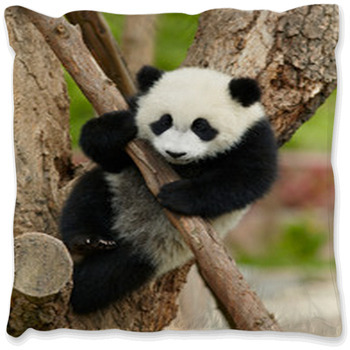 Recently, there was the hilarious and extremely entertaining animated movie about a Panda who knew martial arts. Children and adults trooped to the theaters and were seen with wide smiles and satisfied faces after watching the movie. 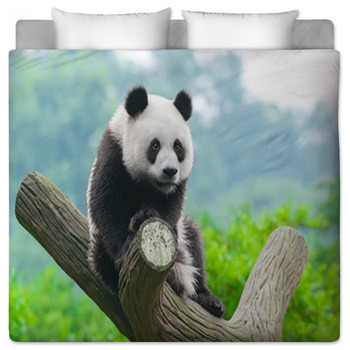 With pandas on your bedding you can bring the same feeling right into your bedroom! 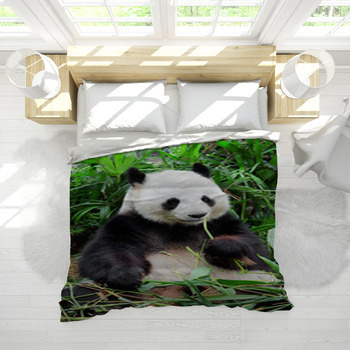 Panda Bedding promotes a love for these peaceful creatures that are now one of the top in the endangered species in the world by the World Wildlife Fund. 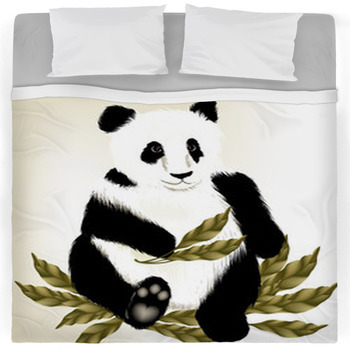 On the other hand, this style of bedding is a lovely concept for a child's bedroom or a guest room. 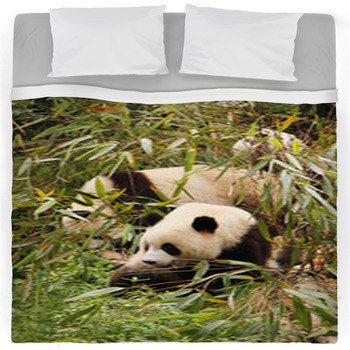 Everyone who sees a panda is enchanted with these creatures. Their wide-eyed gaze will trap you into falling in love with them forever. 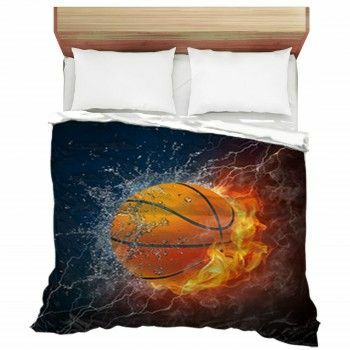 As the main theme of your bedroom, or that of your child, Vision's bedding can be personalized to fit the person exactly. 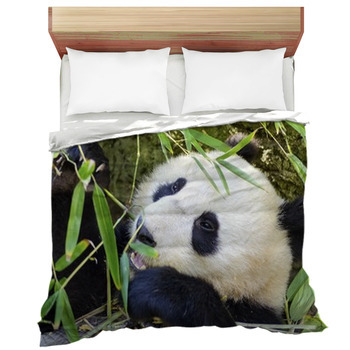 You can design personalized bedding with your favorite colors and photos, as well as tiny bits of trivia about pandas. The possibilities are endless. 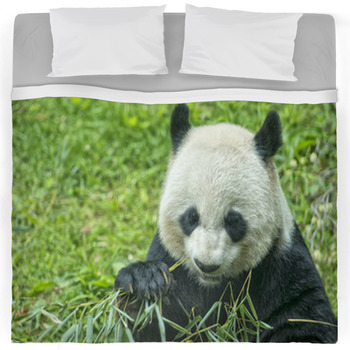 You can even expand your custom bedding to include other bedding of endangered animals, and create a animal bedding room that will compliment endangered species from all around the world. 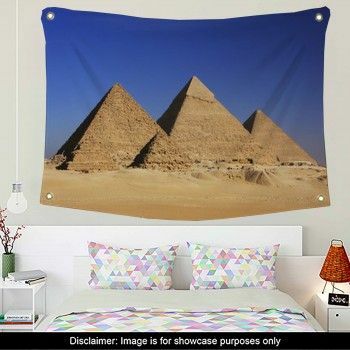 What an amazing room that will be!.